From today, Velocity Frequent Flyer is offering members their biggest transfer offer ever. Members can earn up to 40% bonus Velocity Points^ by transferring their reward points from participating credit card partners and receive 20% bonus points on transfers from ANZ, flybuys and hotel partners. Velocity Frequent Flyer Chief Executive Officer Karl Schuster said, “Our members are used to our 15% bonus Points offer but this time around we wanted to offer them something a little extra”. For those looking to redeem their bonus Points on flights, current Guinness World Record Holder for the youngest person to travel to every country in the world, James Asquith, said one of the biggest mistakes when travelling was not collecting points. “I’m now always looking for ways to boost my points, but also to redeem them, so keeping an eye on deals like bonus points transfer deals has become a new hobby for me!” said Mr Asquith. Velocity members can transfer points from today until 31 May 2018 to earn up to 40% bonus Points. Velocity Points bonus is based on the number of Velocity Points members receive when they transfer from participating card partners. *Stated points value is based on a return economy/business (as stated above) reward fare and is subject to availability. Reward Seat Terms and conditions apply. Transfer from participating partners between 1 May and 31 May. Min points transfer, exclusions & T&Cs apply. Visit www.velocityfrequentflyer.com/bonanza for full T&Cs. Velocity Frequent Flyer is the multi award-winning loyalty program of Virgin Australia. The program launched in 2005 bringing competition to the loyalty landscape in Australia for the first time by offering genuine and unique rewards to its members. Today, the program has a membership base of more than 8 million. The program gives members the ability to earn Points when flying to more than 600 destinations worldwide with Virgin Australia or 17 airline partners including Air New Zealand, Delta Air Lines, Etihad Airways, and Singapore Airlines. It also offers an extensive portfolio of more than 100 hotel brands, giving members the ability to earn Points at more than 160,000 hotels around the world. Members can also redeem Velocity Points with partner Kaligo for a stay at over 550,000 hotels worldwide. 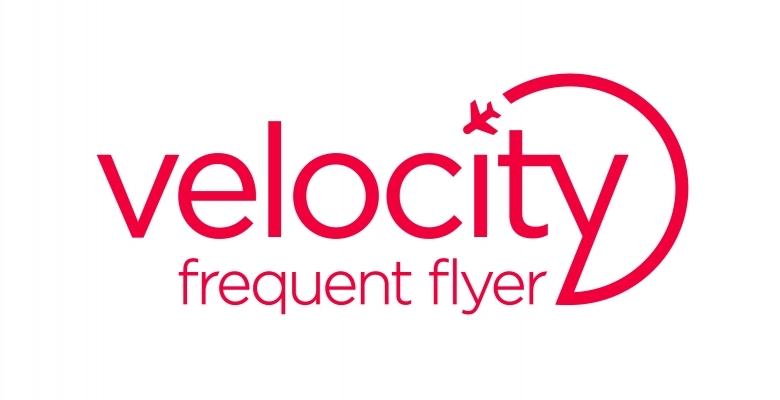 Velocity Frequent Flyer has the widest retail offering of any loyalty program in Australia with more than 200 retail brands in its online e-store, and a wide range of credit and charge card options providing members the flexibility to earn Velocity Points directly or transfer points from partners. In 2013 Velocity launched Australia’s first frequent flyer program for pets. Adding to the list of program firsts, Velocity offers Family Pooling where family members can group Points and Status Credits into one account for greater rewards as well as Parental Pause for those members expecting a new addition to the family and want to pause their membership for six months, and pick up where they left off with their membership level intact. Velocity Frequent Flyer continues to bring unique innovations to the Australian market. In 2016 it partnered with household favourite flybuys giving members brand new ways to earn Points and Velocity Status Credits on everyday spend. Also in 2016, Velocity and BP introduced an Australian-first benefit allowing customers to pay for their fuel and eligible in-store purchases with Velocity Points.